If there’s anything that’s been missing from our film collections, it’s a Scottish Christmas zombie musical – and now, at last, we have one! High School Musical meets Shaun of the Dead in this ecstatically crazy, entertaining story of a group of teenagers in Scotland who wake to a zombie apocalypse. Armed with some interestingly improvised weapons (yes, apparently you can kill a zombie with a spatula) and lungs made for power ballads, together they try to smash, stab, and sing their way to safety. But whist there may be zombies attacking, the gang have some bigger wounds to tend to – will John win Anna’s heart? Will Principal Savage ever stop being such a tyrannical wretch? Are they mature enough to be heroes? 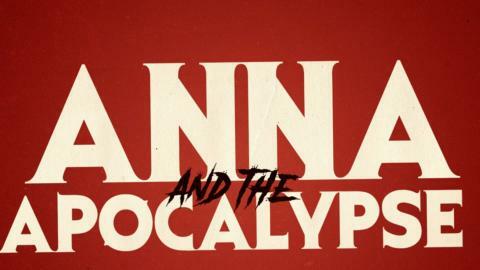 A hilarious gore-hound with mind-bogglingly catchy tunes and heartfelt emotional underpinnings, Anna and the Apocalypse is set to become – in its own, bloody way – a Christmas classic.